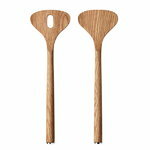 Alfredo Salad servers are made of oak. 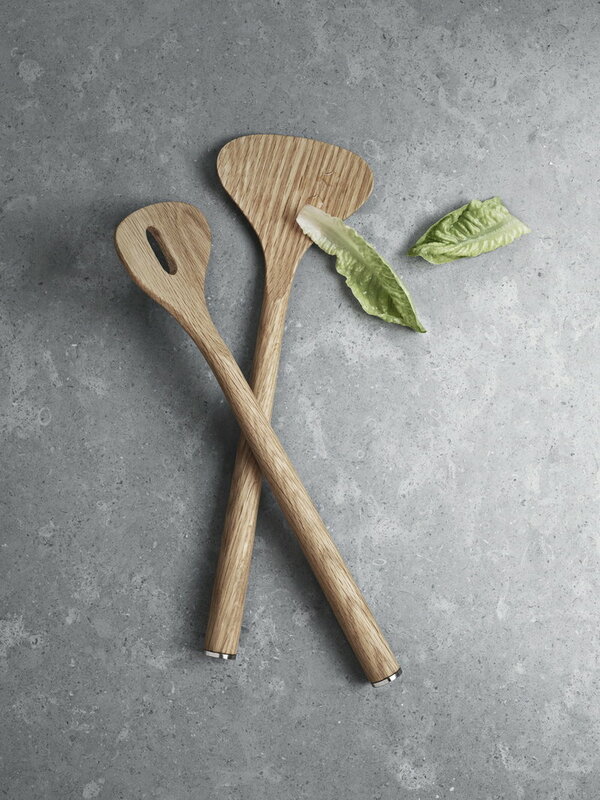 When combined with other Georg Jensen hollowware it creates a beautiful contrast between oak and stainless steel. 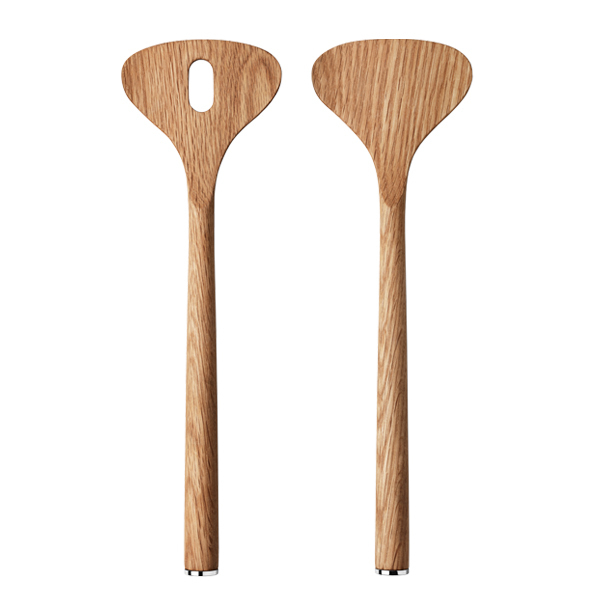 The end of the salad servers is finished with a stylish stainless steel plate.